Seeing the announcement of the NCWN Spring Conference created an excitement in me to go to this gathering of successful writers and poets. I want the inspiration and motivation I always receive when I am with writers. I like to learn and I can tell there is much I could learn here. One of the things most of us need is the sessions by Ed Southern and his wife, Jamie, both knowledgeable about the book business. That is what we have if we make an effort to publish our writing, a business we need to work at just as we work at our writing. At times our book business takes too much of our time, or it seems to. We want to spend our time writing, not building a platform or reputation with readers, or getting our books into book stores, checking on their sales and even picking up books that are not selling. I was told that many writers, enthusiastic about their new novels, travel far and wide to sell book store owners on the idea of carrying their books. But, book store owners say often authors never come back. They never even contact the book stores. When our local book store closed the owner said she had contacted all the local authors whose books she carried, but very few came back to get their books. I ended up with many of them because I was asked to take them. Elizabeth didn't want to just throw away the books, so I give them as door prizes in our writing groups or donate them to Friends of the Library book store. The book business is important to learn. I want to attend Ed and Jamie's sessions. If anyone in WNC or north Georgia wants to go to Greensboro to the Spring Conference, I would like to have a companion for the trip. "St. Andrews University will present the 2015 Ethel N. Fortner Writer and Community Award to North Carolina Writers’ Network Executive Director Ed Southern on March 5." 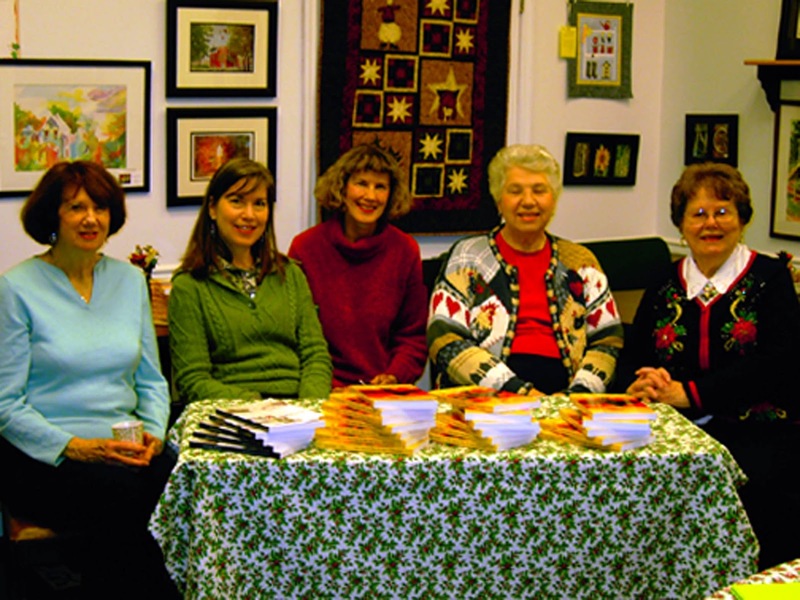 Ed has headed NCWN since 2008 and the organization has grown and served more writers over the years. On a personal note, I was program coordinator for NCWN West, (Netwest) when Ed came on board. I had heard good things about him and was excited to know we were going to be in good hands. 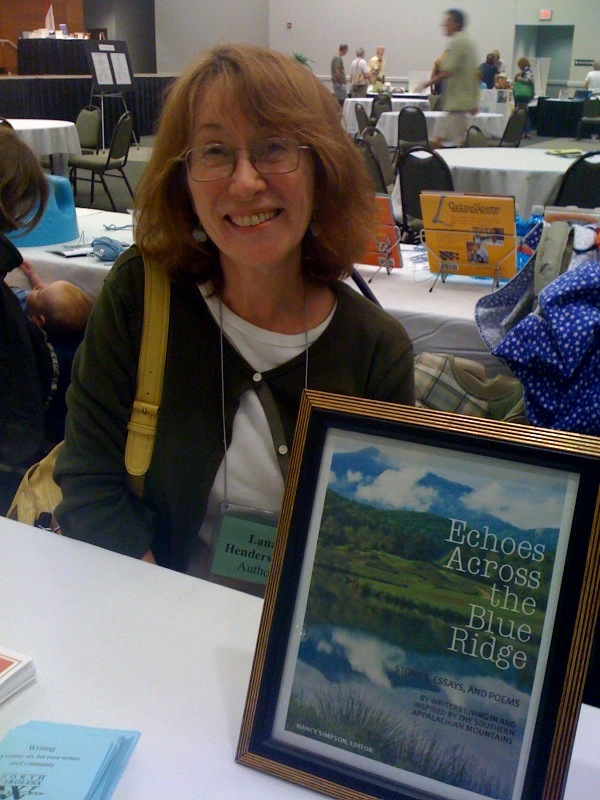 Right away, I asked Ed to come to our far western area and meet all the writers and poets scattered in these mountains. And for the first time since the early 90s, the Executive Director of NCWN came out here and talked with us. Even more important, he listened to us. Our promised funding sanctioned by the NC Arts Council had been terminated, but Ed promised he would see that it was resumed. He did as he promised. I know all of our members and readers join me in congratulating Ed Southern on receiving the Fortner Award. The literary world of North Carolina has been buzzing the past week with the appointment of a poet laureate by Governor McCrory who did not go through the normal process of working with the NC Arts Council to selectthe best person for this important post. 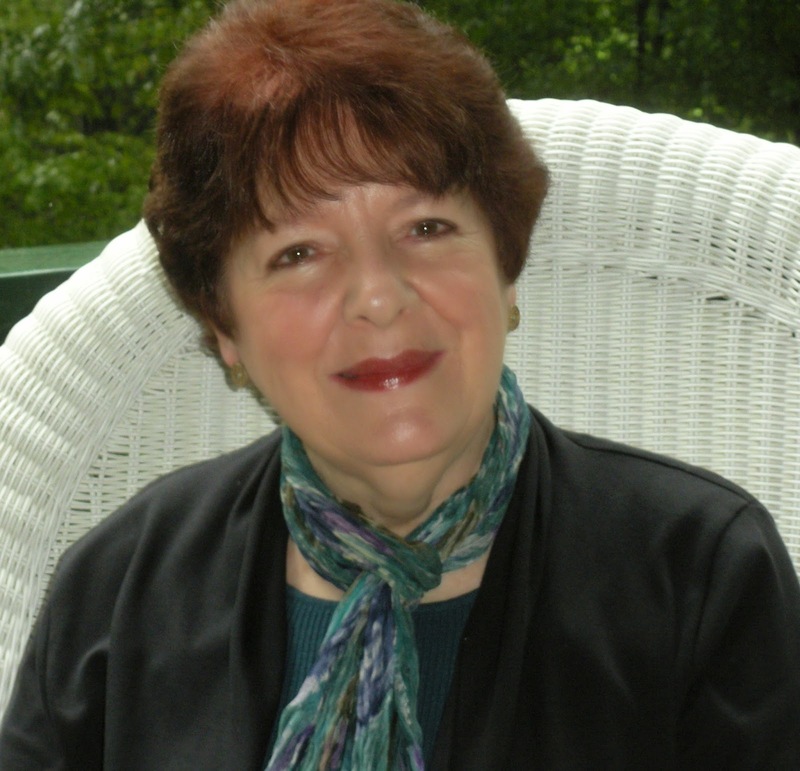 Our own Netwest member and first woman poet laureate of North Carolina, Kathryn Stripling Byer spoke out online in numerous Facebook posts about the selection of Valerie Macon, poet from Fuquay-Varina whose literary credits seem to be two self-published books of poetry. Byer along with three other past poets laureate issued a statement criticizing the process used by the governor. "Instituted and administered expertly and transparently by the North Carolina Arts Council - which has our unqualified support and loyalty - the process insured that the poet laureate, ultimately appointed by the governor, was indeed a poet and educator of singular accomplishment, someone not only with a literary reputation in North Carolina, but beyond," their statement said. "The fact that that process was not recognized in the most recent appointment has resulted in disaster." Although Macon is an advocate for the homeless and writes about their plight, she is not considered by most poets yet worthy to hold this honor. Those who struggle to perfect verse that is accepted and published by highly respected presses, who win awards for their work and who are recognized as leaders in their arts community were shocked to see that someone who was relatively an unknown, had been chosen over more qualified people. A great example of what a poet laureate should be is Kathryn Byer who is recognized nationally and internationally for her work. FredChapell, former Poet Laureate has been published far and wide and is known throughout the literary world. Cathy SmithBowers and Joseph Bathanti, two recent poets laureate, also have outstanding resumes. Some wonder, was the selection of Ms. Macon, who has now resigned, a deliberate poke at the literary community at large or was it complete ignorance as the governor has claimed. He indicated he did not know about the protocol whereby poets are recommended through the Arts Council and their works carefully examined before any of their names reach the governor’s desk. He said it was not written on the walls, so how was he to know? I was told that the Arts Council sent the governor a packet of information informing him of the credentials of past laureates and the manner in which they were chosen. I assume he will be forced to follow protocol now that Valerie Macon has resigned. It has certainly stirred up the poetry community and made North Carolina look inept to those in the country who follow such things. I received calls from Netwest members and from the local newspapers with questions about the botched appointment. The larger newspapers in this state have carried articles on the subject. Below are some links you might want to read for more information. 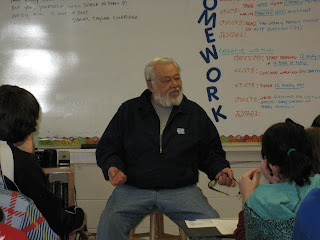 One of the best articles was by our Executive Director, Ed Southern on the White Cross School blog. With some of our members announcing the anniversary of their blog site, I decided to go back and see if I could find the first post I made on the Netwest Writers site. I had gone to the Fall Conference in November, 2007 in Winston-Salem. There I heard about setting up a free blog instead of a website. Netwest didn't have funds to pay an ongoing service for a website. I came home and for a few weeks I practiced on setting up the blog hoping I'd not embarrass our members with my amateurish efforts. My hope was that our mountain writers would use this blog to further their opportunities to reach outside the far western part of the state to have their voices heard. When Nicki Leone set up a new website for NCWN she gave Netwest the chance to be a part of that site. Anyone who goes to http://www.ncwriters.org/ will see where they can click on the Netwest blog. The following is the first post I made that went out to the public. On Saturday at the NCWN Fall Writing and Publishing Conference in Winston-Salem, Ed Southern was introduced as the new Executive Director for NCWN, and he will take office on January 1, 2008. Ed is highly qualified to lead the writers’ network. He presently works with John F. Blair, publisher, as vice president of sales and marketing. He has served on the Board of Trustees of the NCWN since July 2005. Glenda: Keep up the good work. I am enjoying your postings. Your blog is great! Your group may enjoy going to this Blogger site, it is extremely helpful! 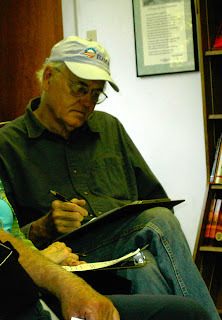 Ed Southern, Executive Director for the North Carolina Writers’ Network, parent organization of Netwest, made a quick but effective visit to the western part of North Carolina to meet with writers in Sylva at City Lights Books and in Brasstown at the John C. Campbell Folk School on Thursday, October 16. We asked those attending what Netwest and NCWN can do for them as writers and heard from some who had questions about publishing and some who want to know how to find markets outside their local areas. 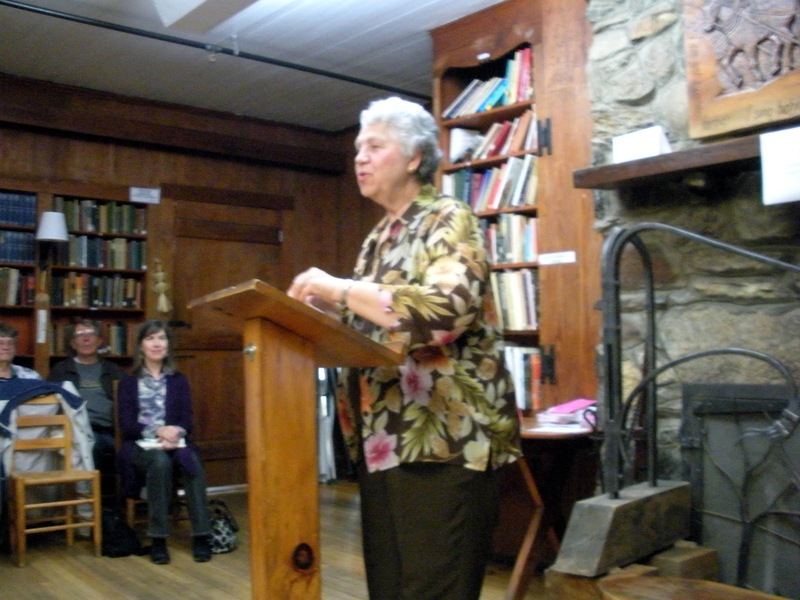 In attendance were bloggers, playwrights, haiku poets, novelists, Appalachian historians and beginning writers at the meeting in Sylva. 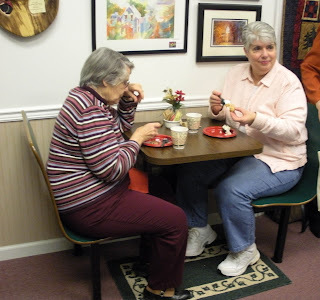 It was agreed that social activities among writers is important and a possible breakfast group is on the horizon in Jackson County. At the Folk School, a number of Netwest members held a casual question and answer session with Ed. 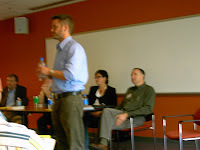 Topics ranged from teleconferencing possibilities in the future to the history of Netwest. Ed brought the face of NCWN to the far southwestern part of the state. 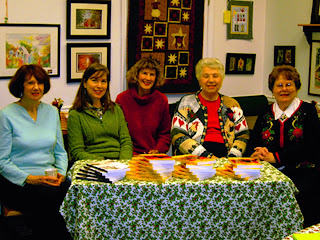 He met members who are well-published, active and enthusiastic about writing and about Netwest. His visit encouraged members to continue with the fine literary organization that has been ongoing for years and he assured us that funding from NCWN is forthcoming. Members were delighted to hear him say that he’d like to see chapters like Netwest all across North Carolina. It was obvious that Netwest likes Ed Southern and Ed Southern respects Netwest. Ben Eller, author of Children of Sherlock Holmes and Gary Carden, Jackson County Representative for Netwest, meet with other writers at City Lights Books in Sylva to discuss how NCWN and Netwest can best serve members in the area. 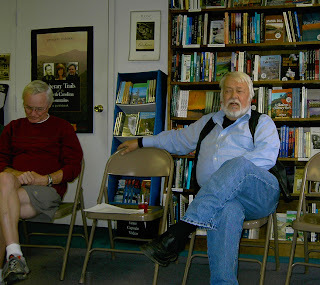 On the right above, John Quinnett who writes haiku, lives in Bryson City, NC. Anyone interested in writing is invited to meet Ed Southern, executive director of the North Carolina Writers' Network when he visits the Netwest area on Thursday, October 16. His first stop will be at City Lights bookstore at 2:00 PM in Sylva, NC. Netwest county representatives and Glenda Beall, program coordinator for Netwest will also be there. 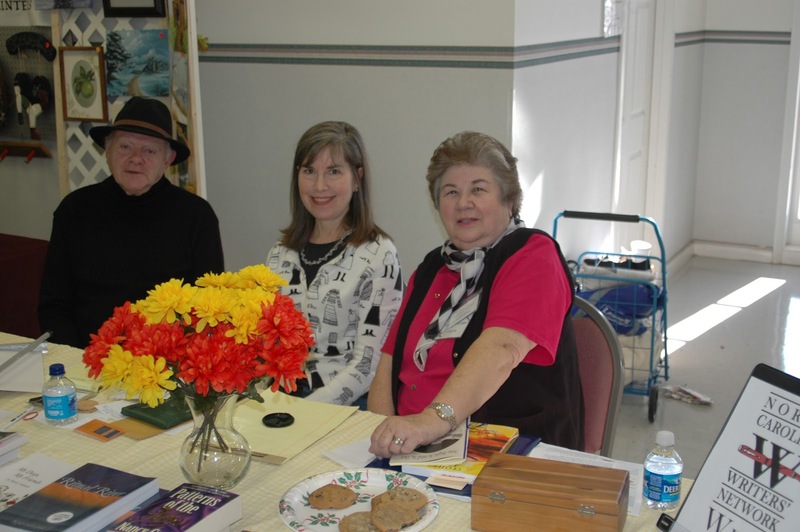 Come out and learn what NCWN and Netwest can do for the literary community. 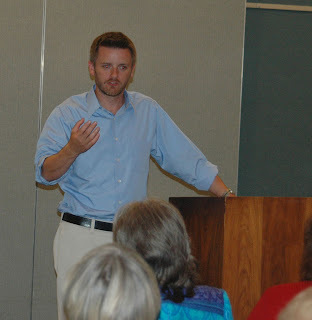 At 6:00 PM, Ed Southern will be at the John C. Campbell Folk School in Brasstown, NC to meet with writers in Cherokee, Clay, Graham, and north Georgia. This is the first time a director for the NCWN has made the trip over this far west to speak with members and others interested in the writing community. Ed Southern has said Netwest is a model for what he'd like to see all over the state. Have you seen this interview on youtube? I ran across this video on youtube and wanted to share the site with our readers and members. This is Ed Southern, Exe. Director of NCWN in an interview. Ed will be visiting the far southwestern part of the state of NC in October.